2012 seems to have gone by in a flash. And for the ISGS Education Committee it has been a whirlwind of year. One of our biggest accomplishments was the implementation of the 2012 ISGS Webinar Series, which we began back in January. Each month we produced an educational webinar presented by some of the best genealogy speakers around. The live broadcast of these webinars were open to the public for free, providing an educational opportunity for the genealogical community as a whole. Each webinar was recorded and is available to ISGS members in the Members Section of our website. The 2012 ISGS Webinar series covered many topics, most of which were requested when we surveyed the genealogical community back in 2011. We are grateful to have been able to fulfill one of ISGS’s many goals, that being education. We’d like to take a moment to reflect on what we learned through the 2012 ISGS Webinar Series. In January, Thomas MacEntee kicked off the webinar series with 10 Ways to Jumpstart Your Genealogy. In this presentation, Thomas gave us many suggestions to kick our genealogy research into high gear, including ideas for organizing your data, networking with others, and setting research goals. There was a lot of information packed into this hour-long lecture, and it’s quite possible that some ISGS members refer to the recoding often when they need some inspiration. Lisa Alzo joined us in February for Cool Tools for Publishing Your Family History. Lisa discussed several methods for sharing your family history, including books, blogs, and videos. The remainder of the presentation introduced us to the many tools available that we can use to share our family stories, photos, and research. There are a lot a great ideas in this presentation if publishing your family history or sharing photos is of interest to you. Amy Johnson Crow presented Desperately Seeking Susan: Finding Female Ancestors in March. This was one of the most popular topics as all of us struggle with our female ancestors, who many times, did not leave their own records behind. Amy presented many possible solutions and reminds us not to forget neighbors and associates. She even walked us through a real-life research problem. Many of the attendees commented that they loved the case study and could visually see the methodology at work and how they could apply it to their own research. In April, D. Joshua Taylor joined us for Going Digital: Organizing Your Research Materials Electronically. If you are looking to digitally archive your research materials, this is the presentation for you. Josh shared his own method of how he organizes his digital research files and provided a five-step process that will put you on your way to “going digital.” No matter how you choose to approach the digitization process, the key lesson is to make sure you are consistent. In May, Timothy Pinnick presented Some Great, Seldom-Used, Resources: A Genealogical Potpourri. And what a potpourri is was. Tim introduced us to several sources that many attendees admitted they had never heard of or considered before. He took us through these myriad sources and showed us how they can be applied to our own research. Want to know more about the US Congressional Serial Set and how you might use it? This presentation will answer that question and more. And, in many cases, some of these off-the-beaten-path resources can be found online. In June, just six days prior to the 200th anniversary of the start of the War of 1812, Peggy Clemens Lauritzen presented The War of 1812 – America’s Forgotten” War. Attendees raved about this presentation because it gave a terrific overview of the War of 1812, a war that is less familiar to many genealogy researchers. Peggy also shared a variety of resources that could help us figure out if any of our ancestors served during the War of 1812. Those interested in the War of 1812 will certainly keep Peggy’s handout nearby while conducting their research. Jean Wilcox Hibben joined us in July for Clue to Clue: Tracking a Family Over Time and Miles. In this presentation, Jean took us through her journey to learn more about a female ancestor. She walked us through the methodology she applied, explained the sources she used, and shared her ultimate discovery. Seeing a research problem presented in this way helps us learn about techniques and resources and how we might incorporate them into our own research projects. For our August webinar, Paula Stuart-Warren presented Major Midwestern Archives and Their Records. She introduced a variety of repositories, which included several state archives. More importantly, Paula showed us the type of records you could find in each of these archives and how you can learn more about the archives’ holdings. Her handout details the state archives that were discussed in the presentation and also includes a listing of other Midwestern repositories. 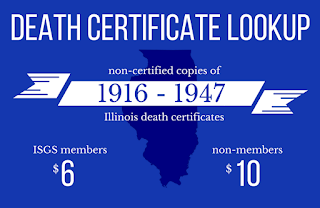 If you need a crash course in archival repositories or have ancestors that came from the states of Illinois, Indiana, Iowa, Michigan, Minnesota, Missouri, Ohio, or Wisconsin, this is a must-see webinar. In September, Gena Philibert-Ortega joined us for Grandma Did What!? : Researching Your Famous and Infamous Relatives. Using several examples, Gena discussed different techniques and resources to use when trying to learn about both famous and infamous ancestors. Attendees commented on the helpfulness of the examples as well as the introduction to some unfamiliar sources. One of the most requested topics we see is German genealogy research. So, in honor of German-American Day (US, October 6), we asked Leslie Albrecht Huber to present Jumping Over Hurdles in German Research. In this presentation, Leslie defined the four hurdles as hometown, records, language, and handwriting, and discussed practical tips for overcoming each one. Many attendees expressed gratitude for this webinar and stated that they couldn’t wait to get started on their German ancestors. George G. Morgan presented Sidestep Genealogy in November. This presentation is heavily focused on researching collateral family members as a means to overcome obstacles in your research. George shared a variety of ideas, tips, and records you can use to help break down a brick wall. He even walked us through a real-life research challenge to show us the tips in action. J. Mark Lowe joined us in December for Ready-Set-Plan! Developing a One-Step Research Plan. Mark’s overall strategy is to breakdown a research project into manageable tasks. He offered practical tips for breaking down projects, developing a plan, and staying organized. The handout for this presentation includes one page dedicated to the types of resources we should consider when trying to answer a research question. While not an exhaustive list, it is a terrific starting point and includes resources that may less familiar to some researchers. Remember, ISGS members have access to all of these webinar recordings and handouts through the Members Section of our website. Members will also have access to each of the 2013 webinars after they’re presented live. If you’re not currently an ISGS member but would like to join to take advantage of this and many other great benefits, visit Join ISGS to learn more.